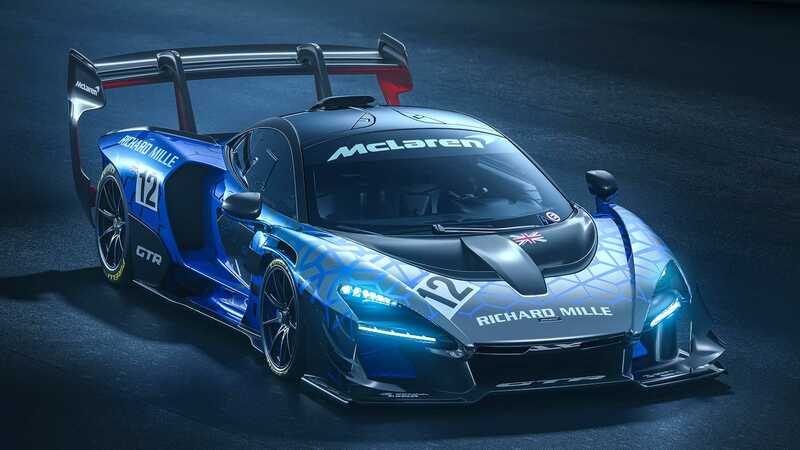 75 esemplari, già tutti venduti, per la versione di produzione della McLaren Senna GTR. 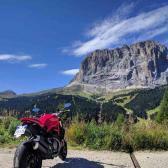 Il modello in questione è destinato esclusivamente all'uso in pista e presenta una versione rivista del V8 4.0 litri TwinTurbo Nissan-TRW che arriva a ben 825 CV ed 800 Nm grazie ad un sistema di scarico rivisto (che fa a meno del secondo catalizzatore). A dispetto del Concept, la Senna GTR di "serie" non ha scarichi laterali, ma al posteriore, così da limitare l'aumento di peso. La McLaren Senna GTR ferma l'ago della bilancia a 1188 kg (10 in meno della Senna), ottenendo un rapporto peso/potenza di ben 695 CV / Tonnellata, inoltre le modifiche al corpo vettura consentono di sviluppare un carico aerodinamico di 1000 kg (+200 kg rispetto al modello stradale). 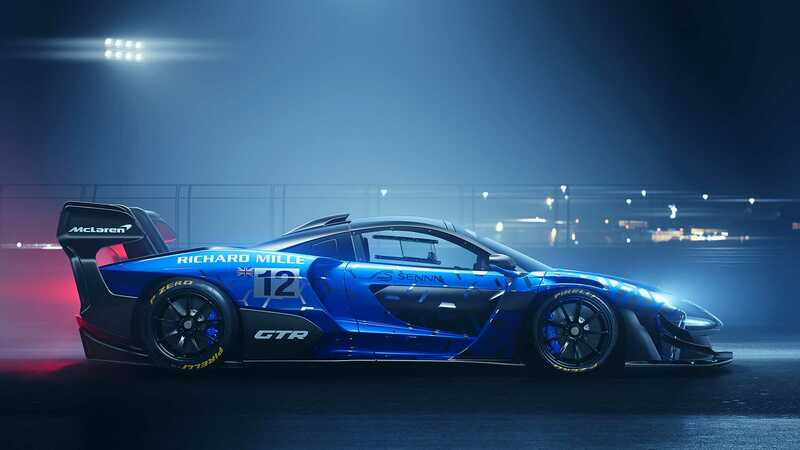 Just twelve months after it was revealed as a concept car at the Geneva International Motor Show, the McLaren Senna GTR is revealed as a fully-fledged track machine – uncompromised, unconstrained and unshackled by road or racing regulations. McLaren Automotive’s most track-focused Ultimate Series car has evolved in key areas to deliver on its promise of hypercar power and accessible handling with the aerodynamics and chassis of a thoroughbred racer. The result is a machine able to lap circuits faster than any McLaren outside Formula 1, providing its owners, of all abilities, with an unparalleled track driving experience. The McLaren Senna GTR takes the road-legal McLaren Senna – already the lightest, most powerful and track-focused but road-legal car that McLaren builds – several steps further into the realm of ultimate performance. 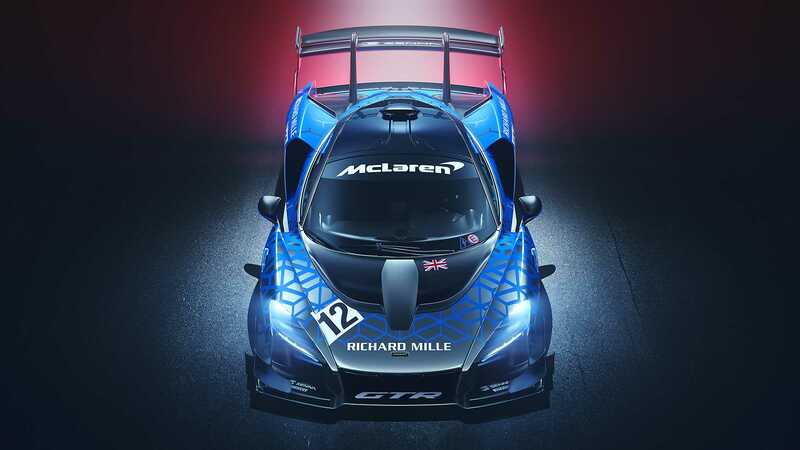 Without the constraints of road or racing regulations, the new Ultimate Series car is more powerful, weighs less, boasts an incredible 1,000kg plus of aerodynamic downforce and uses suspension derived from McLaren’s GT3 race programme. The McLaren Senna GTR, which joins the McLaren Senna and McLaren Speedtail in the brand’s Ultimate Series, succeeds legendary predecessors the Le Mans-winning McLaren F1 GTR of 1995 and the McLaren P1™ GTR of 2015 and keeps the name that honours the memory of three-times McLaren Formula 1 World Champion, Ayrton Senna. Each new McLaren Senna GTR offers its owner virtually unlimited opportunities for personalisation by McLaren Special Operations Options, from paint colours in the MSO Defined portfolio to unique, multi-hued liveries as an MSO Bespoke commission that imagines a wholly individual expression of track car artistry. Just 75 McLaren Senna GTRs will be built to customer order at the McLaren Production Centre in Woking, UK, with first deliveries commencing September 2019. Priced from £1.1 million plus taxes, all cars were allocated to owners within weeks of the order book opening following the McLaren Senna GTR Concept debuting at the 2018 Geneva International Motor Show. The McLaren Senna GTR is powered by the most extreme version yet of McLaren’s 4.0-litre twin turbocharged V8 engine. The M840TR unit, with electronically controlled twin-scroll turbochargers, produces 825PS (814bhp) with 800Nm (590lb ft) of torque. The extra 25PS over the engine in the McLaren Senna has been achieved by engine control recalibration and removing the secondary catalyst to reduce back pressure. Removing the catalyst also heightens the aural experience of driving the McLaren Senna GTR. The exhaust system of the concept, which exited through side pipes just ahead of the rear wheels, has been replaced with a more conventional rear exit system on the production car, with the pipes now emerging from the rear deck under the rear wing in the same location as the Senna. The change was made for the purest of engineering reasons: the side exit pipes may have looked the part, but the rear exit pipes provided the shortest, quickest route for exhaust gases to exit, saving weight and reducing complexity. With 825PS and a lightest dry weight of 1,188kg, the 694PS-per tonne power-to-weight ratio of the McLaren Senna GTR comfortably exceeds not only that of ‘regular’ McLaren Senna, but every other McLaren Automotive car for road or track currently in production. Three powertrain modes are available to the McLaren Senna GTR driver: Wet, Track and Race. The new Wet setting, which provides greater support from the ESP and ABS electronic systems, is particularly intended for use with wet tyres. The transmission, which includes a Launch Control function, is the same, acclaimed 7-speed plus reverse Seamless Shift Gearbox (SSG) that features in the road-legal McLaren Senna. Optimising aerodynamic efficiency and giving even more extreme track focus than that possessed by the McLaren Senna – a car already designed to excel on the track – called for a holistic approach that subjected all aerodynamic aspects to intense scrutiny. The McLaren Senna GTR Concept showed the direction and the production-ready car now stands ready to deliver the most effective aero performance for track driving of any McLaren Automotive product. a significant increase over the 800kg developed by the road-legal McLaren Senna at 250km/h (155mph). 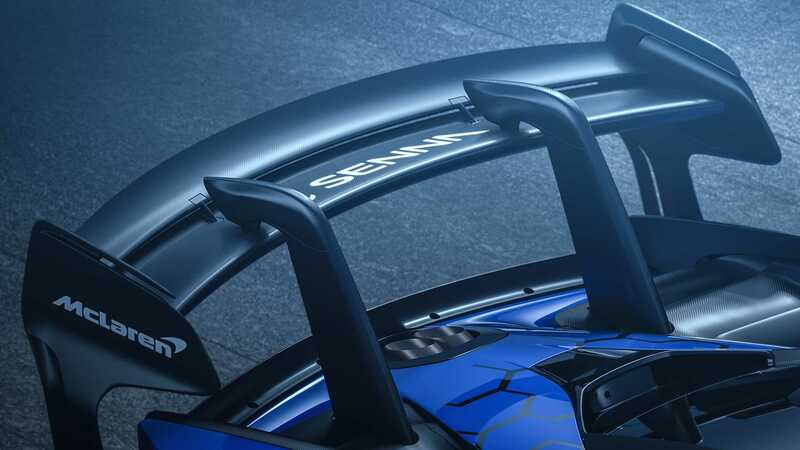 Crucially, a completely different downforce ‘curve’ means the McLaren Senna GTR can call on an equivalent amount of downforce to the McLaren Senna at 15% lower vehicle speed, while still benefitting from reduced drag. The aero package of the McLaren Senna GTR delivers positive effects in high-speed corners but also in low-speed curves and under braking, making the car even less pitch- sensitive and enhancing stability in all situations. The front splitter has been reprofiled and the rear diffuser reduced in size compared to the components on the 2018 GTR Concept, to optimise performance and meet the required track performance standards. Other changes in comparison to the Concept include new dive planes on the front corners and vortex generators either side of the car to ensure a stable airflow underneath; overall, the aero elements of the McLaren Senna GTR work together to deliver balanced downforce front-to-rear over the entire speed range. The new front splitter features a raised centre section to feed air under the car back to the newly reprofiled diffuser. 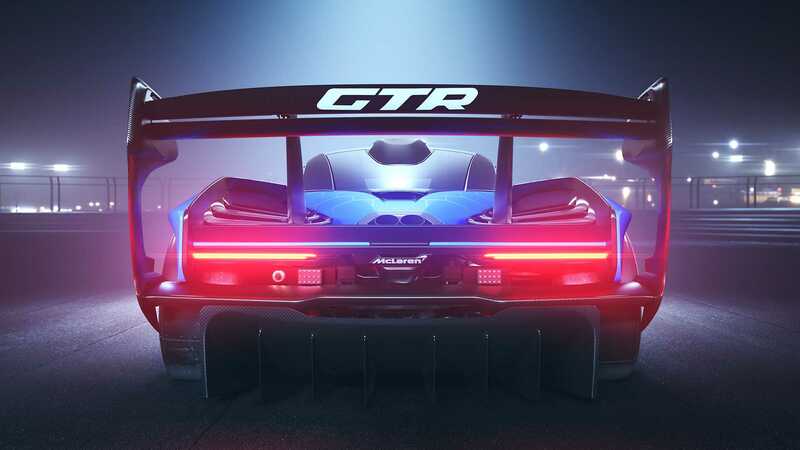 The efficiency of the diffuser has, in turn, been optimised by the new rear wing – a design featuring LMP1-style endplates that connect wing to body in dramatic fashion and are a highly effective way to guide air around the back of the car. 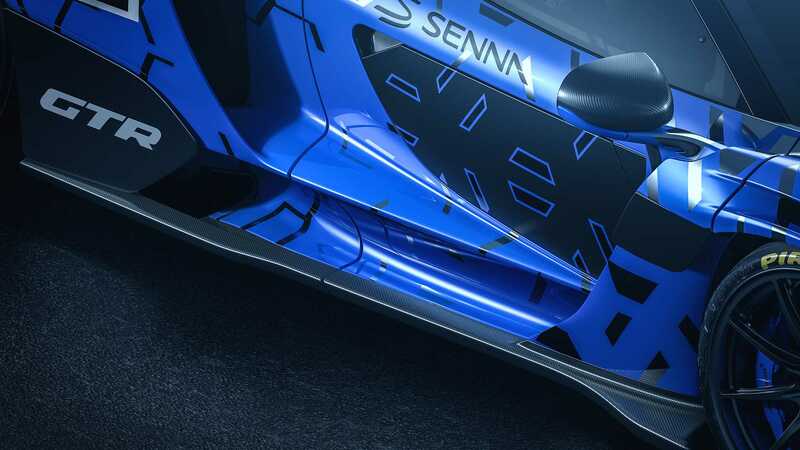 Compared to the standard McLaren Senna wing fitted to the 2018 GTR Concept, the wing of the McLaren Senna GTR has been reprofiled and relocated, having been pushed backwards so its trailing edge is now outside the car’s footprint. This new, ‘free of road car restrictions’ position allows the wing to be coupled to the diffuser, making best use of the air flowing over the rear of the car. 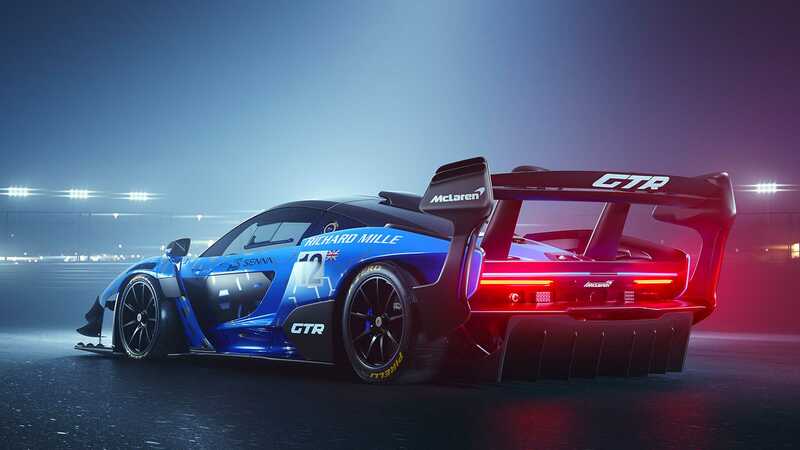 Like the road-legal McLaren Senna, the McLaren Senna GTR features active aerodynamics in the shape of the active aero blades flanking the Low Temperature Radiator and an articulated rear wing – elements that are not currently permitted in GT3 racing but bring significant aero advantages. The wing can be ‘stalled’ for maximum speed thanks to an automatic drag reduction system (DRS). The McLaren Senna GTR takes McLaren’s mastery of carbon-fibre to a new level of accomplishment for a McLaren track car, combining light weight with immense structural rigidity. One of the lightest cars that McLaren Automotive has ever produced, the McLaren Senna GTR tips the scales in lightest dry guise at 1,188kg. At the core of the McLaren Senna GTR is a McLaren Monocage III-R central structure, a carbon-fibre safety cell with integrated roll cage and uniquely, integrated harness mounting points. Like the road-going McLaren Senna, there is an aluminium front subframe and aluminium engine frame, with composite crash beams front and rear. The extreme, racing-inspired nature of the carbon-composite body appears more purposeful than ever, clothing a chassis that is wider still than that of the Senna and lower than the road-legal Senna by 34mm, at 1,195mm in height. Front track has increased – by 77 mm to 1,731mm – and rear track is wider by 68 mm, at 1,686 mm. The wider fenders, accommodating 19-inch centre-lock wheels, exaggerate the relative narrowness of the cabin and ‘ground’ the car even more securely. Additional aero devices have been added to the door skins to optimise airflow from the revised fenders. The McLaren Senna GTR is 10kg lighter than even the McLaren Senna, already a paragon of race-bred leanness. And this is despite the track car’s wider track, extended body and the fitment of essential track equipment including pneumatic air jacks, pit radio, fire extinguishing system and data logger. Many of the creature comforts fitted to the McLaren Senna have been deleted for the McLaren Senna GTR, including touch screens and the audio system. 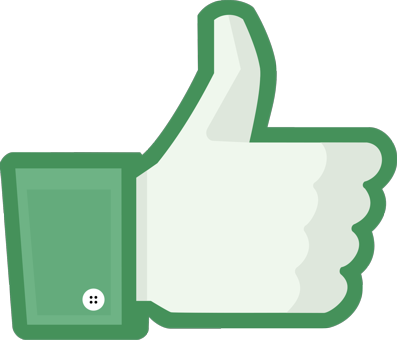 To optimise comfort across the whole range of track conditions, air-conditioning has been retained. The windscreen and side windows, with sliding ticket opening, are polycarbonate. The soft-close dihedral doors are fitted with a manual release mechanism, and the fuel filler has become a race-style dump-churn type. Exterior visual carbon-fibre aero elements have a gloss finish as standard. Wheel finish can be Gloss Black, Race Silver or Matt Dark Graphite and the colour of the door struts and brake calipers can be specified in Azura blue, red or McLaren Orange at no additional cost. The fastest, lightest, most aggressive and engaging McLaren yet has been carefully honed for accessibility, so the incredible track driving experience it offers is not exclusive to professional racing drivers. The target that the programme engineers set themselves was simple: to ensure that 95 per cent of the performance of the car could be accessed by 95 per cent of drivers. This is achieved in the McLaren Senna GTR by combining the balanced aerodynamic downforce of the road-legal car with new suspension derived from McLaren’s GT3 race programme. The McLaren Senna’s variable ride control suspension, which enables different ride heights for road and track, is superfluous in the track-only car and to save weight and reduce complexity has been replaced with aluminium double wishbones, springs, uprights and anti-roll bars developed from the suspension of the GT3 cars used for McLaren’s customer racing programme. Four-way adjustable dampers are fitted, as are solid bushes and adjustable camber. By not having to comply with GT3 regulations, which restrict the race cars to 18-inch wheels, the Senna GTR gets 19-inch rims like the road-legal Senna, but of a centre-lock design. The Ultra-Lightweight forged alloy wheels are also wider than current GT3 regulations allow, being 10J at the front and 13J at the rear. The 19-inch tyres are Pirelli slicks, sized 285/650 front and 325/705 rear. The larger wheels mean even larger brakes than those fitted to a McLaren 720S GT3 car, for a system that delivers hugely impressive stopping power. Based on the braking system of the McLaren Senna, the Senna GTR is equipped with forged aluminium monobloc six-piston calipers at the front and four-piston at the rear, working on 390mm layered carbon-ceramic discs that feature machined cooling vanes. Like the road-legal McLaren Senna, the Senna GTR also has an air brake function on the rear wing, which in this guise has been designed to deliver 20 per cent greater maximum deceleration on its slick tyres than its road/track counterpart. 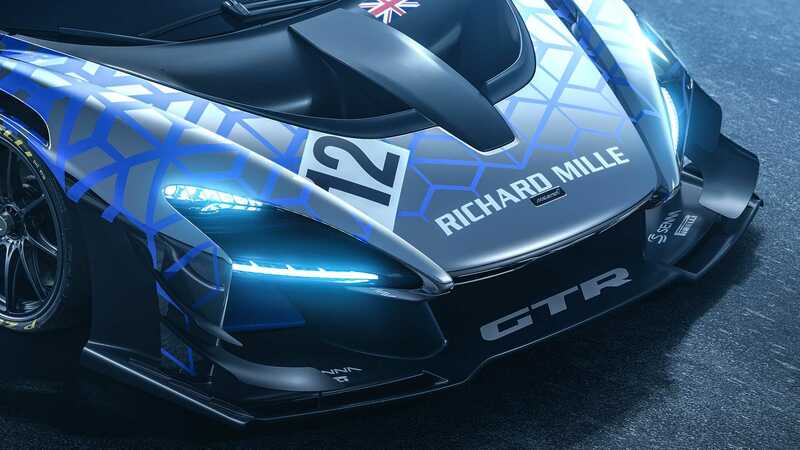 The McLaren Senna GTR is equipped with many of the electronic driver aids that provide safety on the road, including anti-lock braking, traction control and dynamic electronic stability control. Additionally, it features pit lane speed control; systems that monitor both tyre pressure and tyre temperature; brake pad wear sensors; brake disc-wipe technology and anti-collision radar. The McLaren Senna GTR is left-hand drive only, recognising the fact that hand of drive is less relevant in a track car as well as the fact that most buyers are located in LHD markets, An FIA-approved, lightweight carbon-fibre racing seat and six-point FIA harness is fitted, with a passenger seat available as a no-cost option. As befits a track-only car, the pared-back cabin does without airbags, infotainment and other driver aids. There is a satin finish to the carbon-fibre elements of the interior, the sills are covered in black carpet – the only carpet in the car, in fact – and the headlining is Alcantara®. The folding instrument cluster and steering wheel from the road car have been replaced by race-spec items. The driver screen displays key data in the simplest forms, with a row of gearshift LEDs along the top edge. LEDs up the side of the pod count down the closing distance of cars behind via the standard anti-collision radar system, as used by top-tier endurance race cars. An additional centre display, replacing the road-Senna’s touch-screen, shows the view from the rear-mounted camera. The race-spec steering wheel is based on the GT3 car’s wheel but with different functionality for the buttons, in line with the cabin’s one-button/one function ethos. The wheel, which is adjustable for both reach and rake, is quick release and features integrated gearchange paddles. 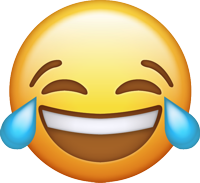 Bravi, hanno tolto quell'orribile inserto trasparente sulla porta! MSO, acronimo per McLaren Special Operations, ossia il reparto personalizzazioni di McLaren.